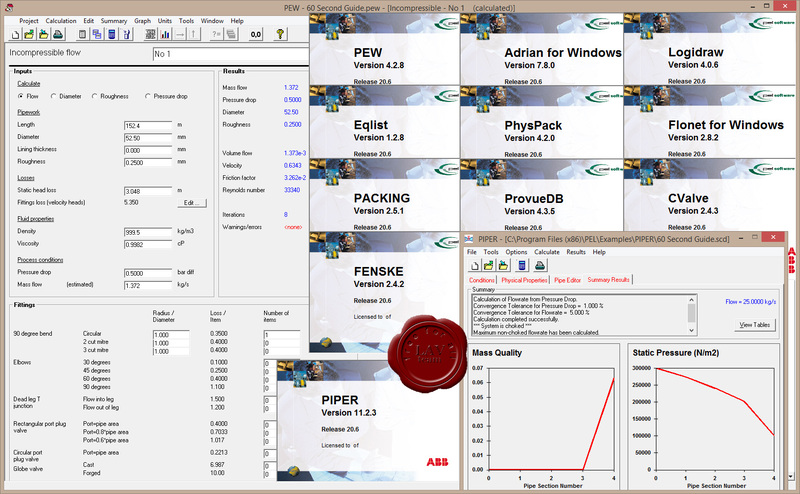 PEL is a collection of tools to enable engineers to carry out their day-to-day tasks more quickly and reliably. The software includes purpose built programs to generate datasheets, perform engineering calculations of liquid and/or gas flow, investigate physical properties and create fault tree diagrams. Designed by engineers for engineers, the tools are intuitive and easy to use. They can be used to work out every day calculations, for troubleshooting issues such as bottlenecks, or when making plant modifications. This low cost solution will enable engineers to design processes more quickly and reliably with up-to-date and permanently available design data.